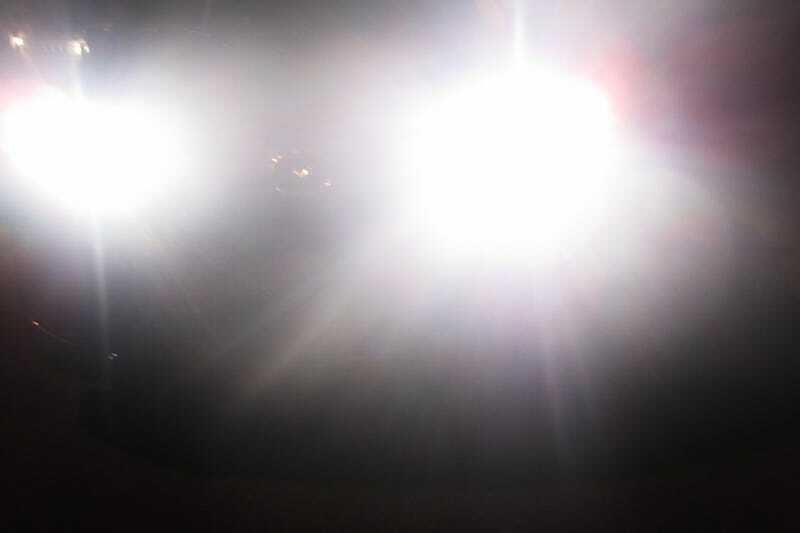 I am tired of getting blinded by bright lights. When it is dark and raining visibility is the worst. The above picture is all I see. I am guessing where the road is. I won’t hit the other car because that is all I see, but a deer, person, rock, or tree in my way will definitely not be noticed until impact. I wish everyone would go to selective amber. Selective amber on a Corvette for reading my rant.